Find out why we buy, eat, live local! It's not on your way.......it's where you're going! Blacksburg,VA is nestled on a plateau between the Blue Ridge and Alleghany mountains. Home to about 42,600 local residents, the town is considered small by most any standard, but don’t let its size or location fool you. Established in 1798 and now Virginia’s largest town, Blacksburg lies within Montgomery County, which has a population of some 95,000. Virginia Tech is connected to downtown so it is walkable from the main campus. Within the original 16 blocks of the incorporated town there are numerous art galleries and museums, it’s easy to turn a stroll through downtown into an art and history walk. 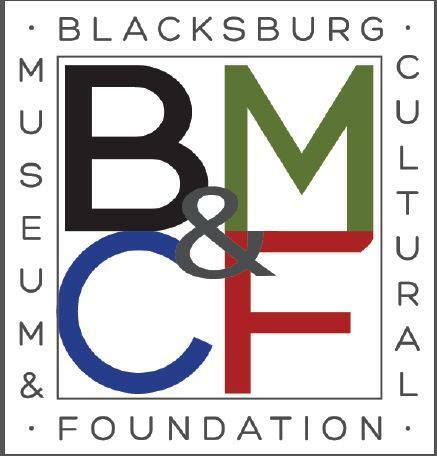 Plan your trip to the area any time of year and experience the culture of Blacksburg! 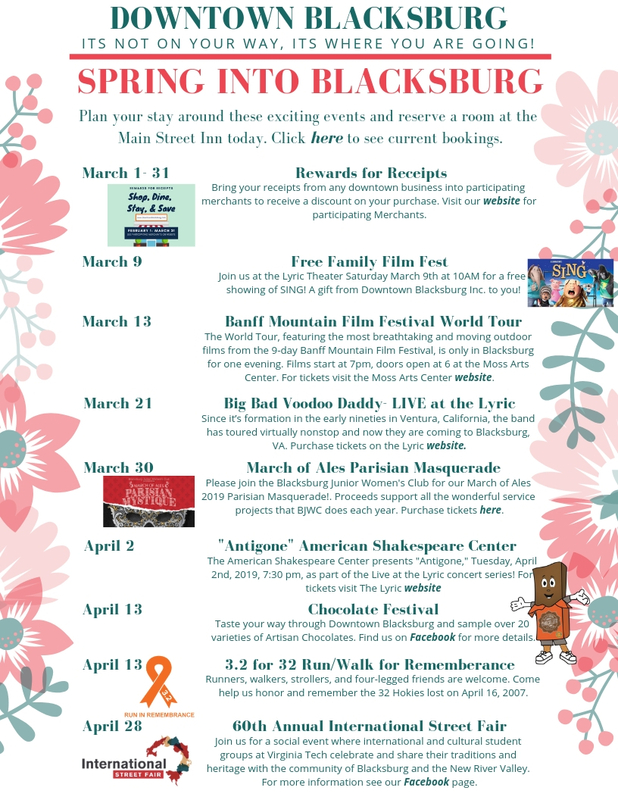 Spring Break in Downtown Blacksburg! Spring is beautiful in downtown Blacksburg so plan your stay and enjoy the many additional events and activities including Blacksburg Chocolate Festival, the 50th annual International Street Fair, the annual 3.2. for 32, Banff Mountain Film Festival World Tour, Big Bad Voodoo Daddy, and the American Shakespeare Company performing Antigone. 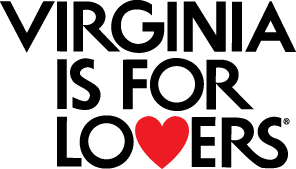 Virginia’s story continues at the intersection of I-81 and Highway 460 in Montgomery County. 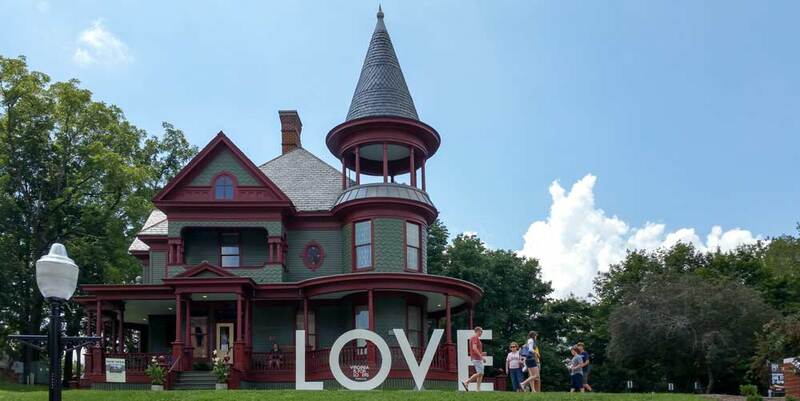 One can still envision the Great Road of yesteryear as it runs alongside rolling hills, the New River, and the magnificent Blue Ridge Mountains of Southwest Virginia. The cheers let you know you’re close as the Hokie sightings increase with each mile. History evolves into innovation as new infrastructure peacefully coexists with grazing cattle. The sounds of nature surround you throughout the peaceful countryside. As beautiful vistas easily transition to bustling towns filled with local proprietors and national brands, you instinctively know it is time to Go to Town!